Nevada City, California and Westwood, Massachusetts, February 26th, 2019 – At NAB 2019, on booth SL3308, Telestream®, a leading provider of workflow automation, processing and quality monitoring and management solutions for the production and distribution of video, will introduce OptiQ, a new and radically different one-click channel creation solution for cloud environments. The product of a strategic research initiative that sees Telestream working closely with a major European telecoms service provider, OptiQ transforms the new channel creation task from a process that took weeks or even months to one that takes just minutes to complete. Once created, these new video channels exhibit considerable sophistication: as standard, they feature integrated monitoring throughout and the ability to switch between multiple sources (live or file-based). A ‘pay as you go’ business model offers the flexibility to accommodate unforeseen fluctuations in demand while aligning such costs to revenues. As a result, users do not need to pre-spend to ensure they meet such demand. OptiQ targets a number of applications. 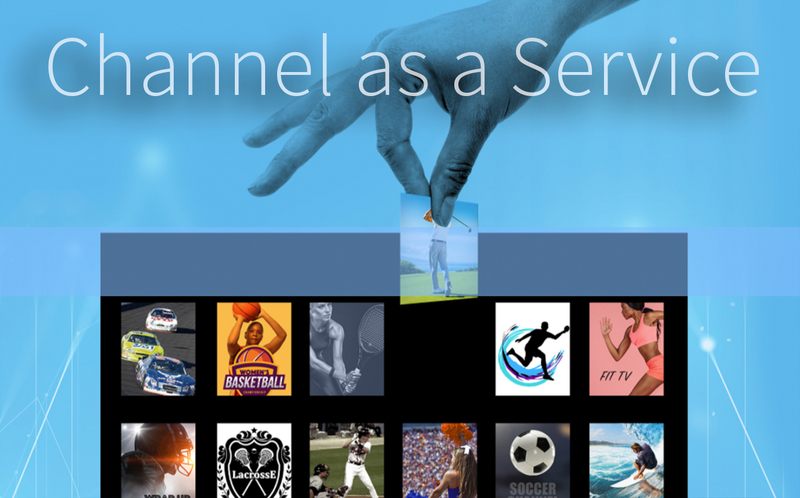 It facilitates new revenue streams for content providers looking to accelerate time to market for new channels, and for broadcasters and service providers by enabling short-term (premium and non-premium) channels/events, or additional content such as highlight reels, player bios and event histories alongside premium content. Telestream believes that currently, service providers and content aggregators are turning business away due to not being able to create channels quickly for short-term events. Telestream customer research highlights the importance of ‘dynamic innovation’ where organizations can rapidly startup new projects, quickly scale up if needed and shut down if they don’t. Also, when they find themselves at capacity on-premise due to multiple major events, content providers have to leave valuable additional content on the shelf due to lack of streaming infrastructure. OptiQ uses containers and multiple orchestration systems which are prioritized based on industry dynamics and customer feedback. The containers are modular Linux-based “elements” (such as encoders, packagers, origin servers, and monitoring probes), that can be instantiated in a cloud environment by an orchestration system, then stitched together and configured automatically to make a real-time-monitored live streaming channel. OptiQ provides a migration path to hybrid cloud/on-premise capabilities for content providers that do not have the skill-set to embrace cloud. Another scenario sees content providers that want to have the choice of which cloud provider to use: many do not want to be tied to a single provider or want to migrate away from or de-risk their current provider, but simply do not have the choice. The intention is that OptiQ will support most major cloud providers, in addition to on-premise data centers at a later stage. OptiQ enables the integration of the latest encoding/packaging capabilities vs. legacy on-premise architectures. Video streaming is constantly evolving, and by leveraging the cloud for streaming, content providers will be able to access the latest capabilities available. OptiQ also enables a hybrid migration strategy for most cost-effective use of resources: UHD/4k HDR needs a lot of CPU/GPU/ASIC resources, and OptiQ will allow content providers to offload SD/HD capabilities to the cloud while leveraging valuable accelerated hardware on premise for CPU-intensive video streaming. Maintenance offload, and additional capacity during peak loads are also an advantage, in addition to empowering trials of new channels and allowing people to build confidence in cloud migration. Telestream corporate headquarters are located in Nevada City, California. The company is privately held. For company and product information, visit www.telestream.net.